New 5.0 litre naturally aspirated and supercharged V8s breath even more life into the Jaguar XK coupe and roadster. Jaguar seems to be having a serious attempt at re-inventing itself, with models like the XF and new XJ saloons working hard to move away from the slightly tweedy image that once served it well. 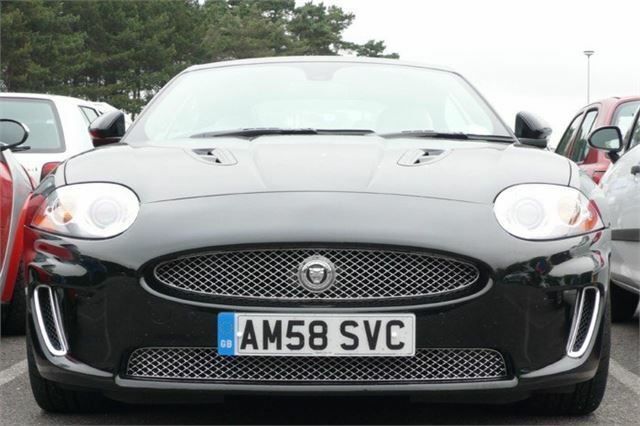 With the compact X-Type’s demise, the oldest car in its range is now the alloy-bodied XK8 sports grand tourer, which with its oval grill and sinuous shape might be perceived as having more in common with cars Jaguar made in the past than those that have been launched since it arrived. 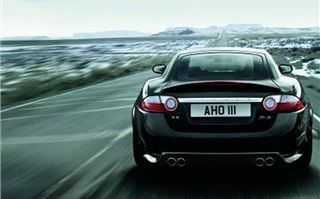 It’s been around for three years, and has now been given a makeover, with some subtle visual changes outside; the sort of things which only diehard Jaguar fans will notice specifically, but which are enough to distinguish the latest cars from those that went before. Inside most of the design nips and tucks are equally low key, save for the adoption of an XF-style JaguarDrive transmission control, a circular chrome dial which rises from the transmission tunnel when the key is engaged and the starter button pressed. It’s a gimmick, but fun, and easy to use. One thing that’s absent from the latest cars are 4.2 litre badges on their rumps. This is because they now employ 5.0 litre, direct-injection V8s which Jaguar claim are entirely new. Once again they’re offered in normally aspirated and supercharged forms, and Jaguar says these rumbling power units are cleaner, quicker and more efficient than before. 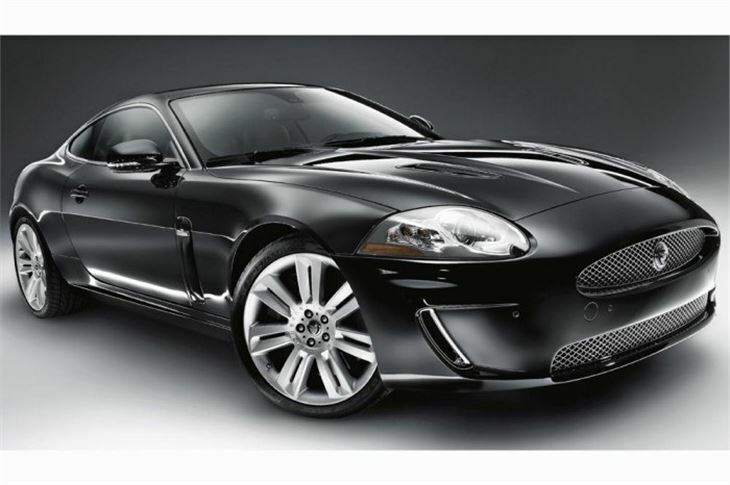 This does not make the XK the vehicular equivalent of an organic allotment plot, but in non-supercharged form it emits 264g of CO2 per km and returns a combined 25mpg. 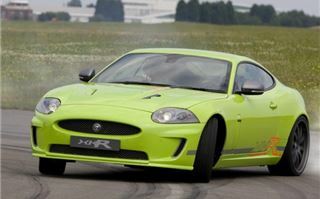 Don’t be surprised if a yet more fragrant and frugal diesel XK appears in the not too distant future. 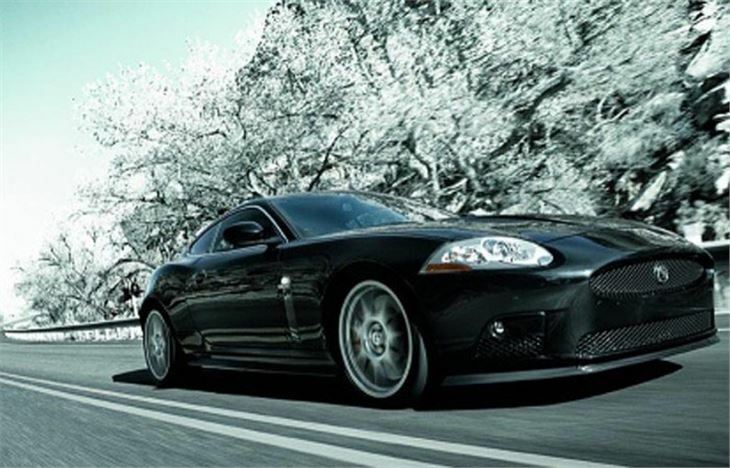 Performance improvements are notional, but then the XK was quick to start with. 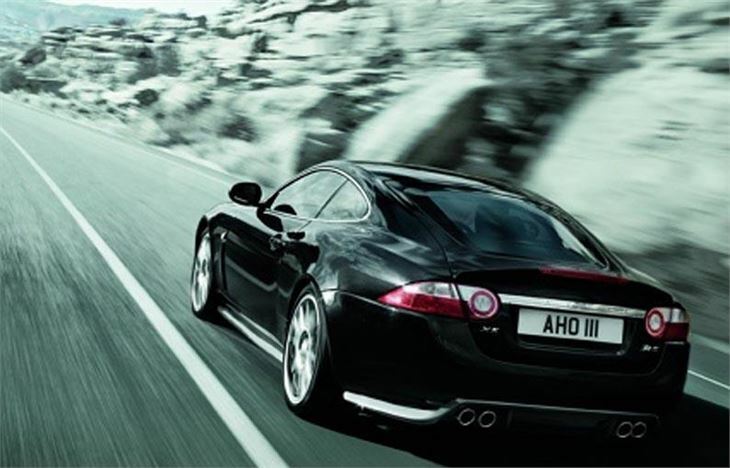 In standard coupe guise it now hits 60 in 5.2 seconds (4.6 for the XKR). All versions have been limited to 155 mph. The latest petrol engines make an interesting selection of noises, culminating in a sort of expensive hotrod roar, and will make this car go with indecent haste. The big news is the improvement in torque, or pulling power. 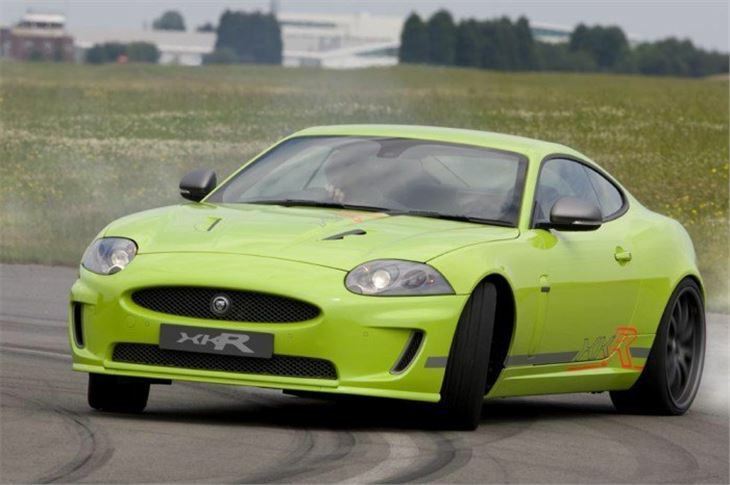 In the case of the supercharged XKR, it’s up by 12 per cent, whilst the normally aspirated versions see a whopping 23 per cent increase. This gives them terrific mid range urge without resorting to the car’s considerable rev range, allowing for very rapid, but relaxed forward progress. For those feeling brave/skilled/inane enough to make the XK stand on its cams, the rev counter pointer will speedily head for the red line as the outside world starts looking like a very speeded up version of Google’s Street Map. The six-speed, two-pedal transmission gets things done with the minimum of fuss, and is mostly smooth and quick when fully in control, kicking down rapidly when required. Occasionally there’s a small amount of judder, notably at low speeds. The driver can take over using the near-obligatory steering wheel paddles, and will have nothing to complain about with the system’s speed. Despite being shod with huge, low profile tyres, and suspended to get round corners quickly, the car rides well. 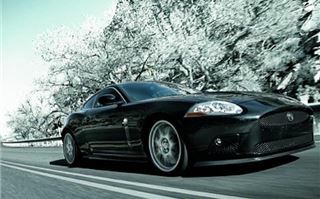 It’s not soft but the XK’s occupants are never pitched up and down, even on lumpy English back roads. There’s also a distinct lack of tyre roar. The steering is light but not disconnected from the outside world, and the car corners with precision. Your correspondent kept the traction control on during his rain sodden drive and found that when all that power finally began un-sticking the back wheels it stepped in quickly to point everything in the right direction again. As for the general fit and finish, areas where in the past Jaguar sometimes lagged behind their competition, the paint and panel gaps all seemed good. Likewise the interior, trimmed with a slightly sombre selection of dark leathers and plastic finishes, was nicely put together, and there were plenty of attractive details, including neat clip on straps at the outer edges of the front seats to guide their seatbelts. Remove these and small children or masochistic adults don’t tangle themselves in seatbelts as they climb onto the teeny back seats. Jaguar has clearly worked hard at this sort of thing, after producing cars like the S and X-Type with interiors which had a non-specific tackiness to them that was almost American. That the XK is a good car made better by the improvements Jaguar has visited on it is hardly a surprise. It’s handsome, sophisticated, and familiar enough not to alienate people who’ve bought Jaguar’s big engined sportscars in the past, but clearly intended to attract those who might have chosen to shop elsewhere for a sports GT (viz; Merc, BMW or perhaps even Porsche). The XK is good enough to do this, but in a world where all luxury car makers have suffered massive sales reversals, Jaguar will probably find getting bums onto its leather seats a challenge.